Kiss for the Cure! Every year our friends at Kiehl’s partner with a worthy cause, and this year’s cause is breast cancer awareness and education. They will be donating a total of $50,000 to Bright Pink, a non-profit organization that focuses on empowering young women to be proactive in the prevention and early detection of breast and ovarian cancer. Kiehl’s kindly provided us with a sample of their Limited Edition Butterstick Lip Treatment Duo, and we think you’ll really like this dynamic duo of lip-lusciousness! 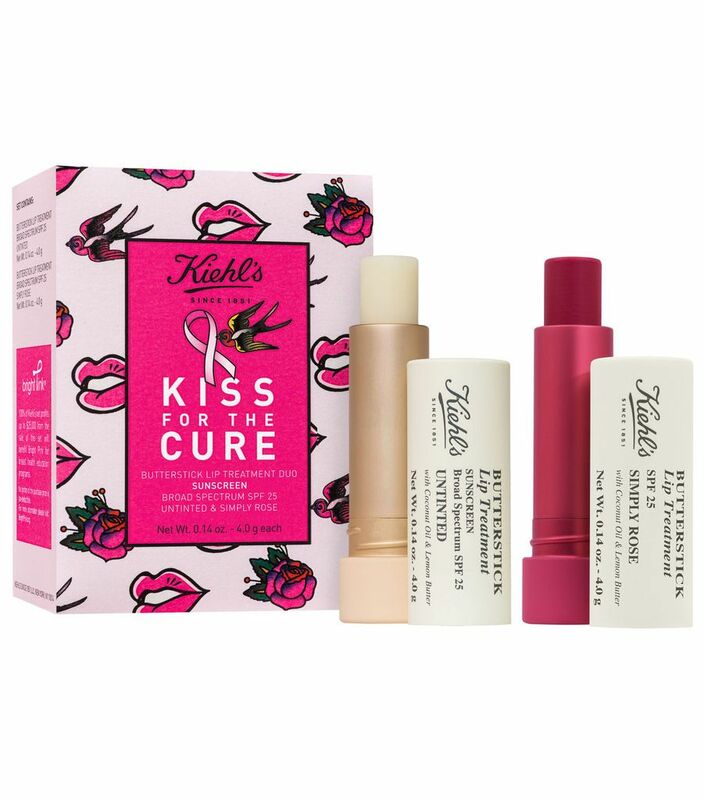 In specially marked boxes labeled Kiss for the Cure, you’ll find two Butterstick Lip Treatments – untinted and Simply Rose (a subtle pinkish color that is just lovely!). Both are made with coconut oil and lemon butter and glide on so smoothly, leaving your lips butter soft and very well hydrated! The SPF 25 sunscreen is a plus in protecting your lips as we start to move into more sunny weather. With 100% of net profits from the sale of this set benefiting Bright Pink, you’ll be joining the fight and getting two great products on top of that!